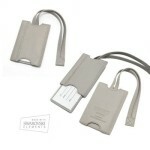 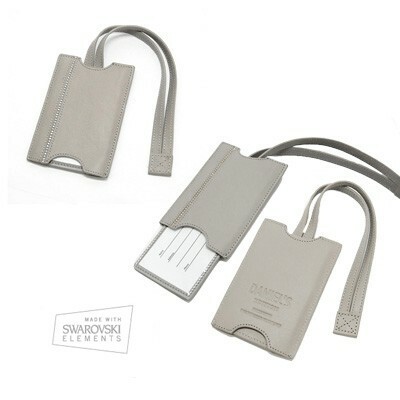 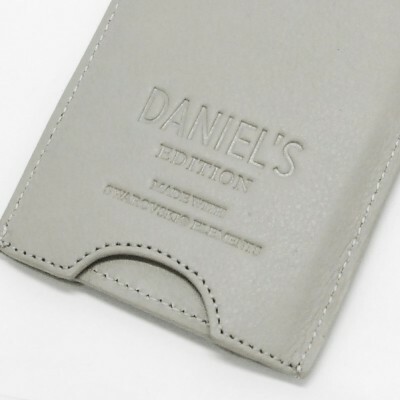 Description Leather luggage tag which slides open to reveal name, address and contact information. 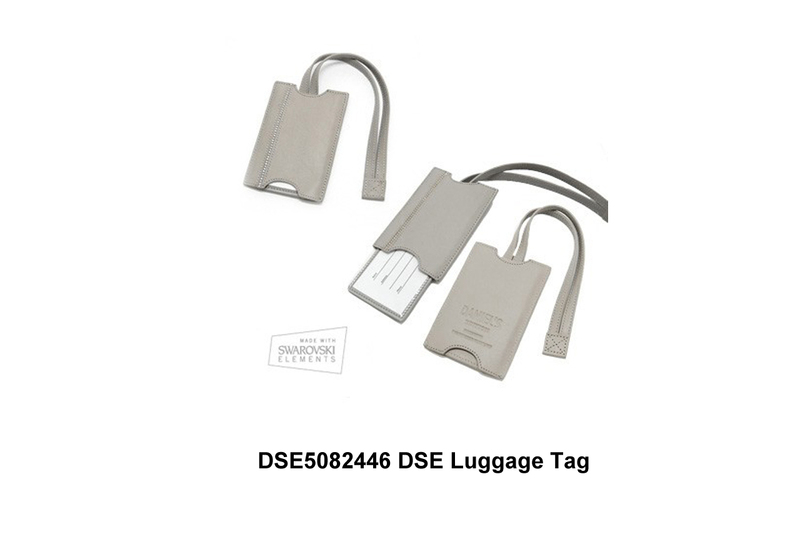 The unique luggage tag designs while body sparkles with Swarovski crystal. With DSE brand embossing.